Ever wonder why the burger you get at your favorite fast food chain never looks like the one on TV? The bun isn’t fluffy, the beef patty doesn’t make it to the edges, and the lettuce is anything but crisp. Well, it’s because a professional known as a Food Stylist, working together with a professional marketing firm and production crew, has painstakingly created the beautiful, bright and balanced burger used to lure you in. The process can take days or even weeks to create and has nothing to do with reality. 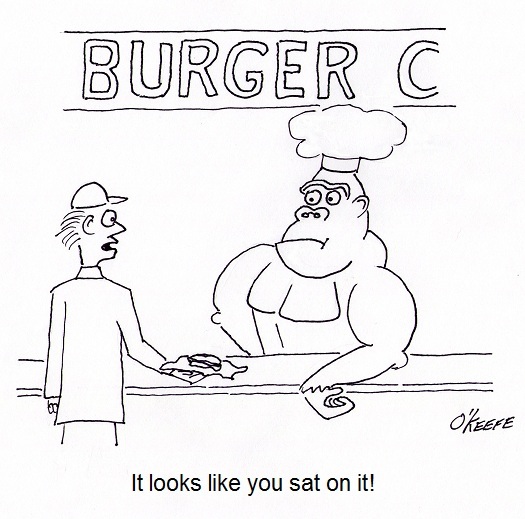 The burger you’re really going to get will look more like a gorilla sat on it. Many of the same issues must be dealt with when mass producing food. Chances are human hands will never even touch the product, like they did when creating the prototype in the test kitchen. In the world of food manufacturing, the “look” part can be extremely challenging. How do you get machines and production lines to create visually appealing food that entices prospective buyers to make an investment in it? How do you get it to taste good, or at least acceptable to the palate? 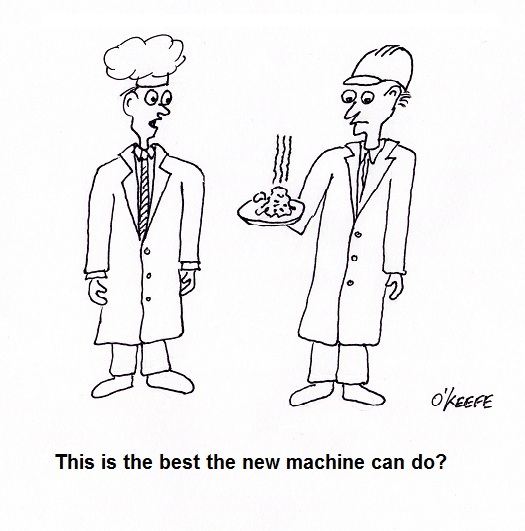 The “taste” part of food manufacturing can be even more challenging. For example, in the test kitchen of a pastry product manufacturer, a recipe will be developed using home pantry products like flour, butter, and eggs. Ever made bread or a pie crust? The stickiness factor is enough to drive many insane. Even nimble human fingers have a hard time dealing with it. Now enter food processing machinery and conveyor belts into the scenario. This brings the possibility of stickiness to a whole new level. Huge messes that gum up the machinery are common, and production line shutdowns are the result. When faced with these challenges, plant engineers have to work closely with chefs in the R&D kitchen to come up with some sort of compromise in the recipe or final form of the food product. The goal is to cost effectively produce food products acceptable to consumers for purchase, and it’s often an iterative process involving many successive changes to recipes and equipment designs, coupled with a lot of testing and retesting, before success is finally met. If testing ultimately proves that the product appeals to consumers’ tastes and flows nicely through production lines, then there’s a good chance it will be a commercial success. In any case, cost is the dictating factor as to whether the food product will successfully make it onto the shelves of your supermarket. A margin of profit must be made. Are easy to clean at the end of the production run. Don’t contaminate the food during operation. Are easy to operate and maintain. Can be easily modified to make other products. Next time we’ll explore how cleanliness requirements factor into food manufacturing equipment design.